ITP Hurricane, the first in the new “Storm Series”. Features X-shaped spokes, and a unique center design. 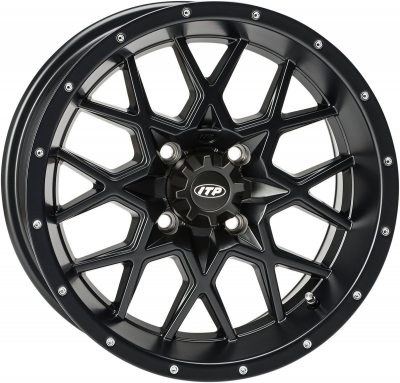 ITP Storm Series Wheels launched with the new “Hurricane”. The wheel’s center design is a car style. Check out the X-shape spokes to see why this is such a unique wheel. 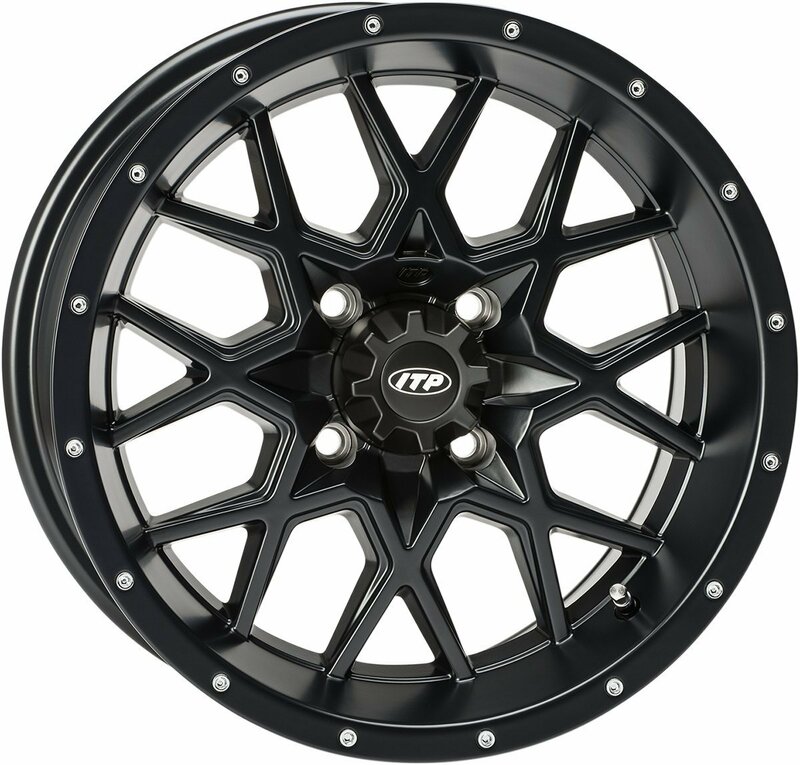 The “Rock Armor” lip on the inner wheel give it superior structural integrity backed up by a lifetime structural warranty. Center Caps and Lug Nuts included.